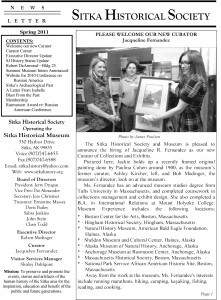 The Sitka History Museum publishes a quarterly newsletter with information about new exhibits, the collections and archives, and happenings at the Society. 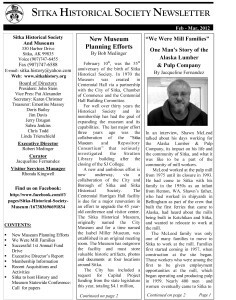 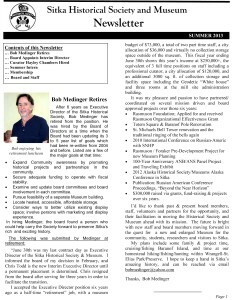 The Museum mails the newsletter to all current members. 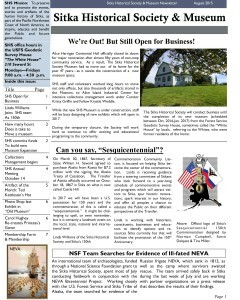 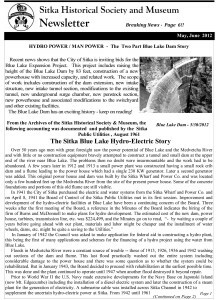 The most current issues are also available as a PDF file to all.